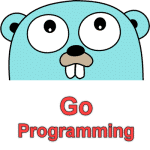 NaN() function is used to find the IEEE 754 “not-a-number” value in Go language. The standard math package of Go programming language has NaN() function. The parameter is not required. If you enter any value as a parameter, it will produce an error . NaN() function will return an IEEE 754 “not-a-number” value.